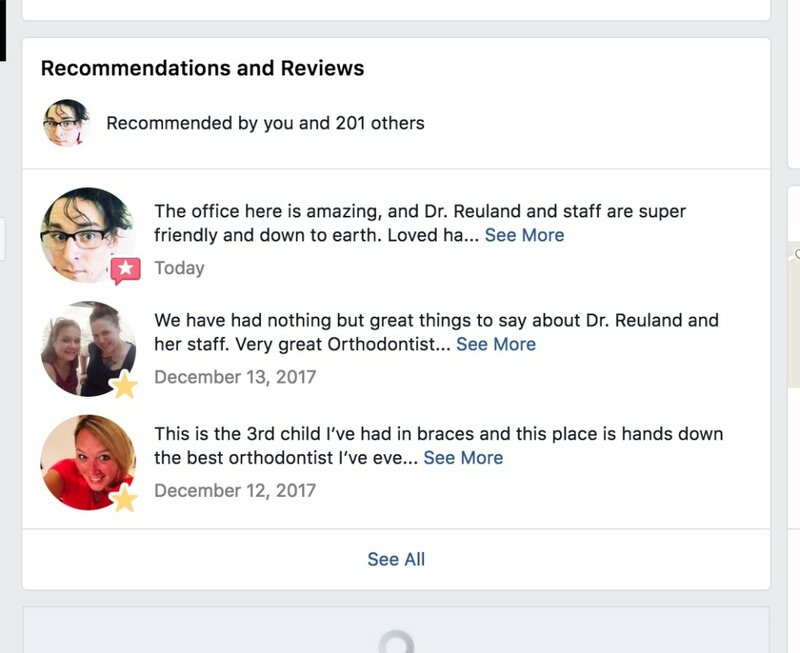 Big changes are coming to how Facebook handles business reviews. Currently, anyone can leave a review or even just a rating on your business’s Facebook page. It doesn’t matter if they’ve even been to your office or not! A problem that we’ve all experienced with the current system is that it makes it possible for people to look at your page and throw any rating they want at it, good or bad, and with for no written reason at all. As people look through your reviews, they may be confronted with information that doesn’t really help them make a decision. As it stands now, Facebook seems to feel (and we agree) that their rating system lacks meaning and context. Going forward, the way people will review your business is with Recommendations. Now, instead of rating your business on a 5-star scale, customers will simply answer whether they recommend your business with a “Yes” or “No”—just as they would in a regular conversation. See how these changes can help you establish your reputation and attract more customers. 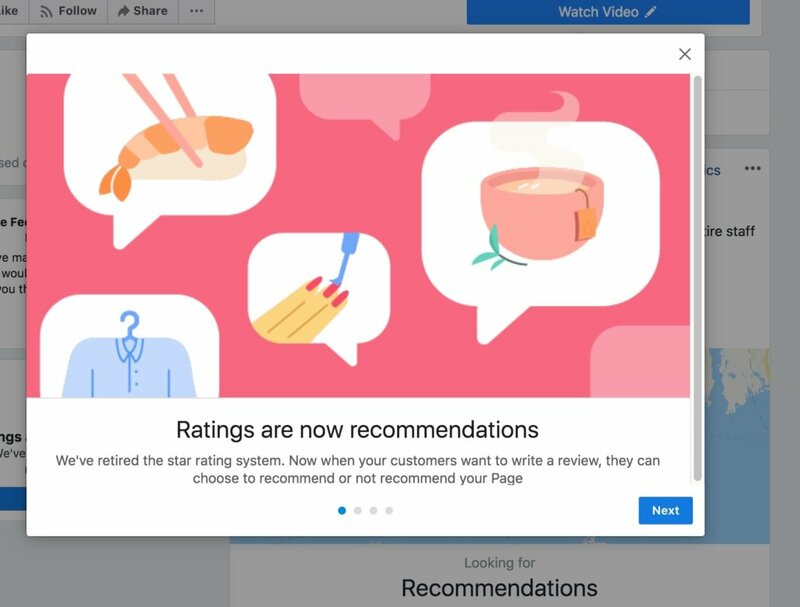 Ratings are now Recommendations. Now when people want to write a review, they can simply choose to recommend or not recommend your business. Easier ways for people to make recommendations. 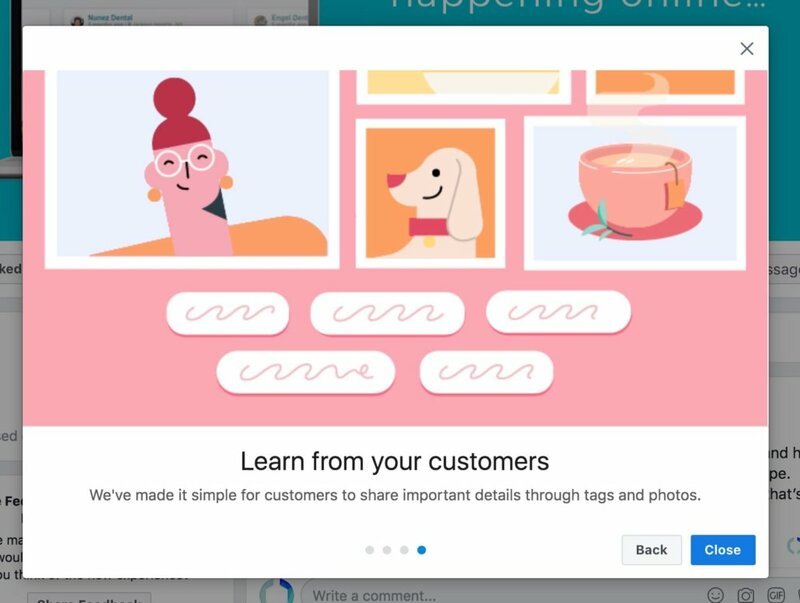 People who tag your business in a photo or post will be asked if they want to publicly recommend your business, making it easier to get recommendations. 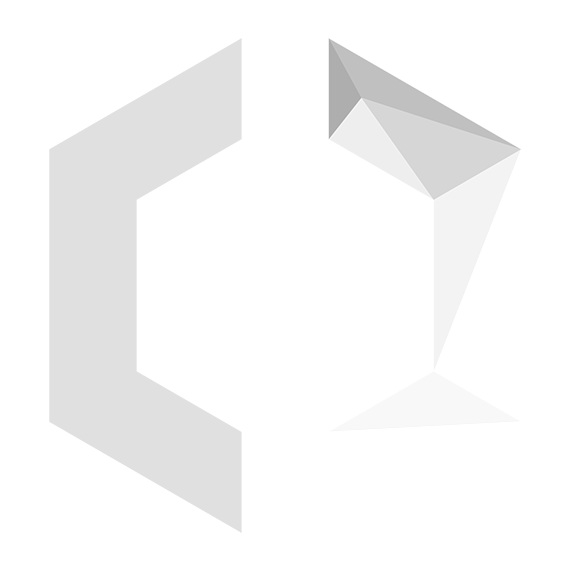 Existing reviews updated to recommendations. 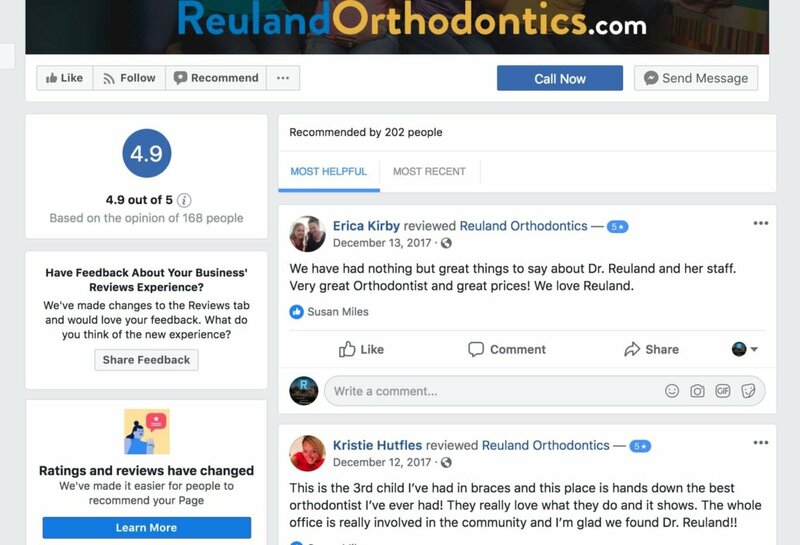 Any existing reviews you’ve earned will still appear on your Page as recommendations. These changes are par for the course as large companies (Google, Yahoo, Yelp, etc) all try to recapture the market value of their review portals. But what does it all mean? It means that at some point customer will no longer have the option of leaving just an ambiguous star-rating. Instead, they will have to leave a written recommendation which can be positive, negative, or anywhere in between. The recommendation will then appear on the business’ page for everyone to see. 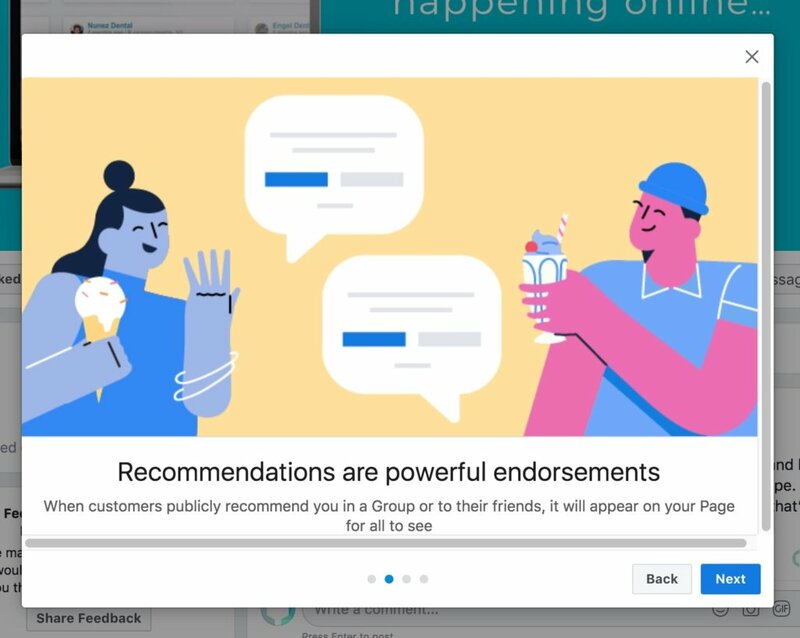 Similar to when people publicly recommend your business to their friends, the new recommendation will appear on your page. For instance, here’s a screenshot of leaving a recommendation on a Facebook Business page. Once completed and posted, the recommendation shows up alongside the past star reviews. Do we think this will be a good thing? Yes, we do. 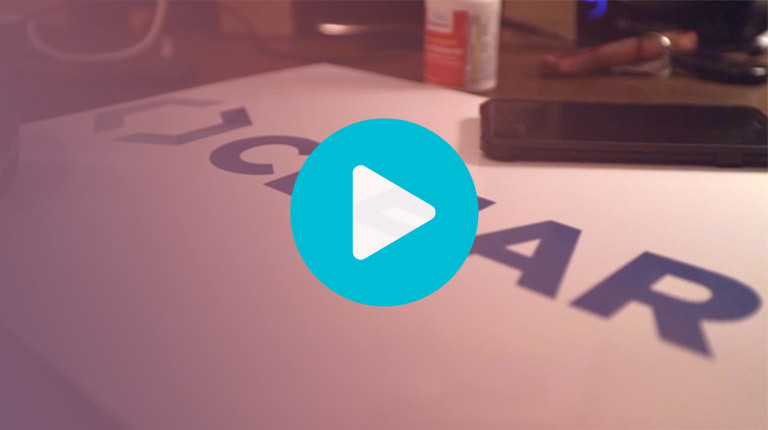 We think customers should rate businesses, and that they should have actually used your services. This change will make people “own up to” their reviews, which should help reduce drive-by 1-star ratings. 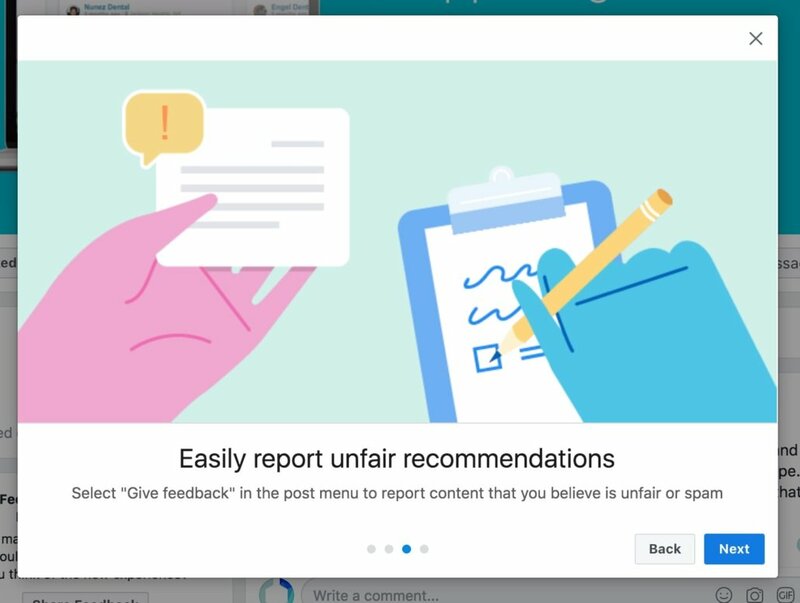 Facebook says it will also enable a business to report recommendations that you believe are unreasonable or that might be spam. That is excellent news! As the ClearPG team has been using the system in beta for a few weeks now, we are unsure when everyone will get full access. Facebook hasn’t even told developers when it will roll out. It also looks as though Facebook is trying out different implementations of this system. Out of all the people in our office, only one person had the option of leaving a recommendation like the one in the screenshots above while everyone else was seeing some variation still of a 5.0 rating on the Review page. Clearly, Facebook has some kinks to work out, but once it’s ready for everyone, we expect it to be a positive change. Check out your Facebook Business page or ours and check if you see the new Facebook Recommendations. Read Facebooks press release/info page about recommendations. 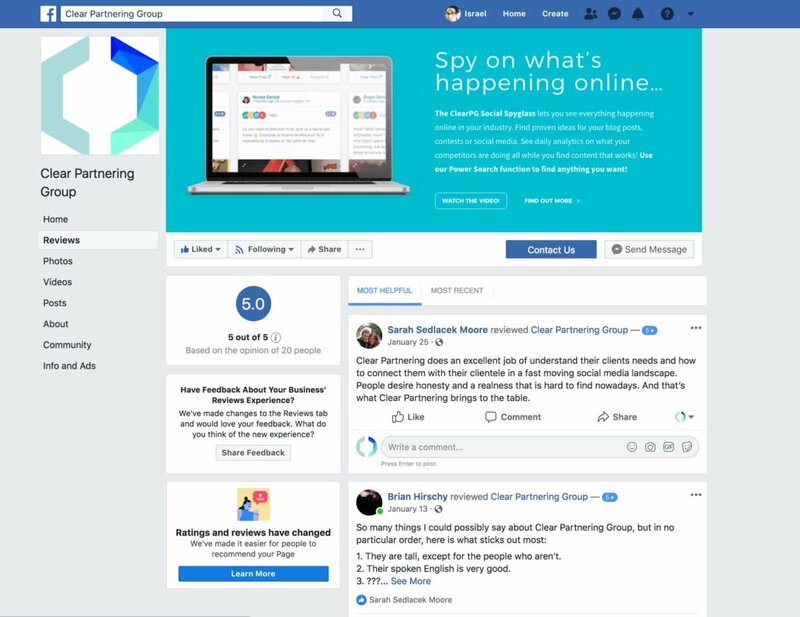 Facebook cites the ability to “report content” as fraudulent, spam or paid for as one of the main reasons for making this change. Businesses that have been incentivizing their reviews may have a problem going forward.